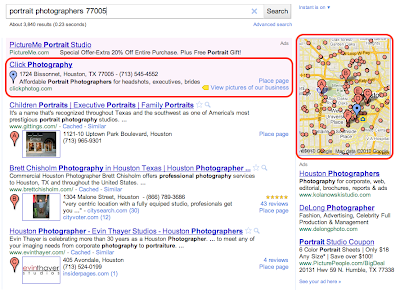 that our new search advertising program, Google Boost, is available to local businesses in San Francisco, Houston and Chicago. Based on the great feedback and results from early participants, the beta is expanding to additional U.S. cities. Starting today, select local business owners can sign in to their Google Places account and try Boost if they’re located in San Jose, Seattle, Wichita, Charlottesville (VA), Atlanta, Chapel Hill, Orlando, Washington D.C., Boston, Cross Plains (TX) and Portland (ME). We’ve also made Boost available for all local businesses in Illinois. For those of you who are not yet familiar with Boost, it’s a quick and easy way for local businesses to market themselves and connect with potential customers in their area. Based on the information you’ve already provided on the Place page for your business, we provide a suggested ad description, a web or Place page, your business categories and a monthly budget. Once you’ve confirmed these four simple elements, our system automatically creates an ad campaign. Your ad may start appearing almost immediately when people in your area search online for products and services related to your offering. And what’s more, you’ll only pay when a potential customer actually clicks on your ad. 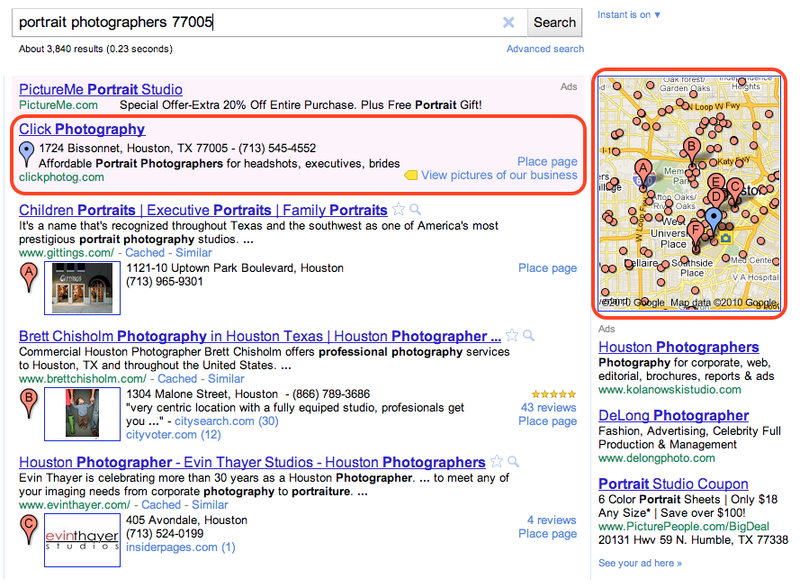 To be clear, the ranking of Boost ads in the “Ads” section of the Google.com and Google Maps search results pages are based on relevance and quality factors; and Boost ads do not impact the ranking of your free, organic business listings. Over the next week, eligible businesses in the cities mentioned above will see an invitation to try Boost when they sign in to their Google Places account dashboard. Business owners located outside of these areas can fill out this form to be notified when Boost expands further to their regions. We recently announced that our new search advertising program, Google Boost, is available to local businesses in San Francisco, Houston and Chicago. Based on the great feedback and results from early participants, the beta is expanding to additional U.S. cities. Starting today, select local business owners can sign in to their Google Places account and try Boost if they’re located in San Jose, Seattle, Wichita, Charlottesville (VA), Atlanta, Chapel Hill, Orlando, Washington D.C., Boston, Cross Plains (TX) and Portland (ME). We’ve also made Boost available for all local businesses in Illinois.